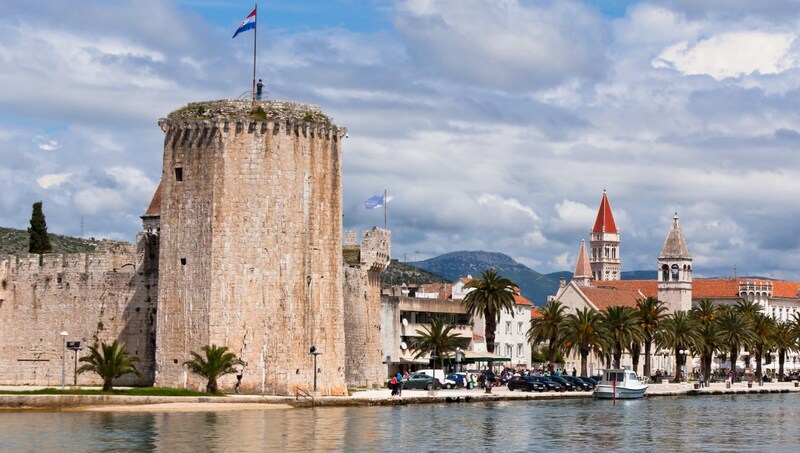 The charming small town of Trogir is a medieval gem of Croatia. 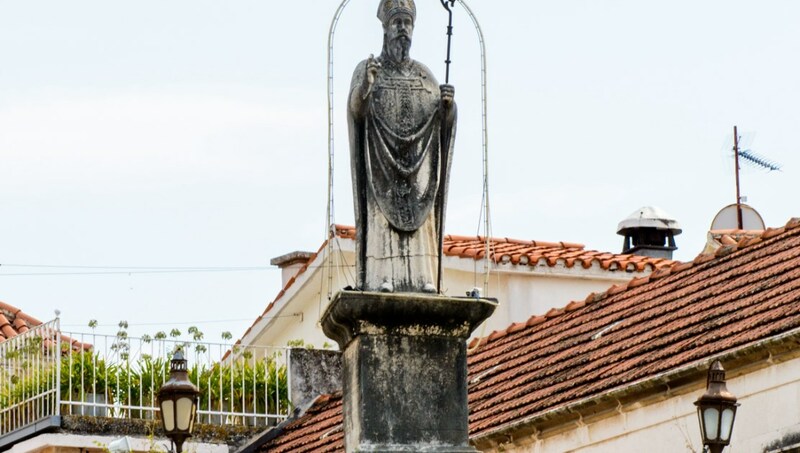 While you stay in Trogir, you're sure to stumble across that special feeling of getting lost in time--medieval architecture rules this town and you won't be able to help getting swept up in the grandiose structures that surround you. 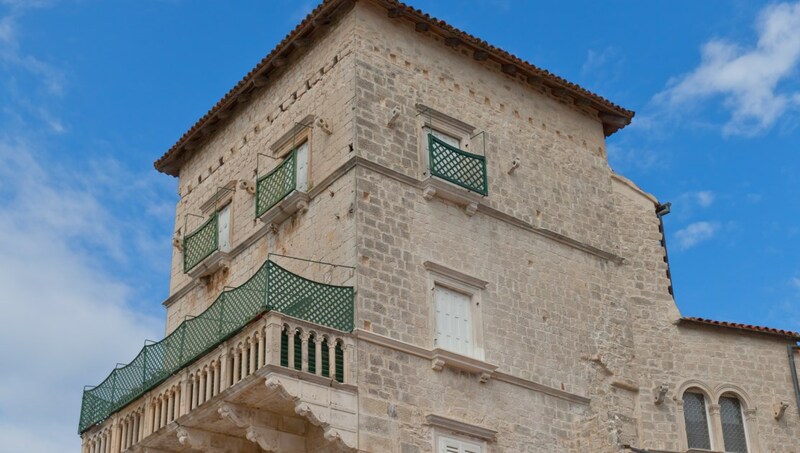 Catch a glimpse of a well-preserved medieval town when you visit historic Trogir. Restaurants and shops are framed in original architecture, and will give you a sense that you're stepping back in time. Enjoy ducking into a cafe for a coffee on a narrow street before you make your way to the Central Square in Trogir. 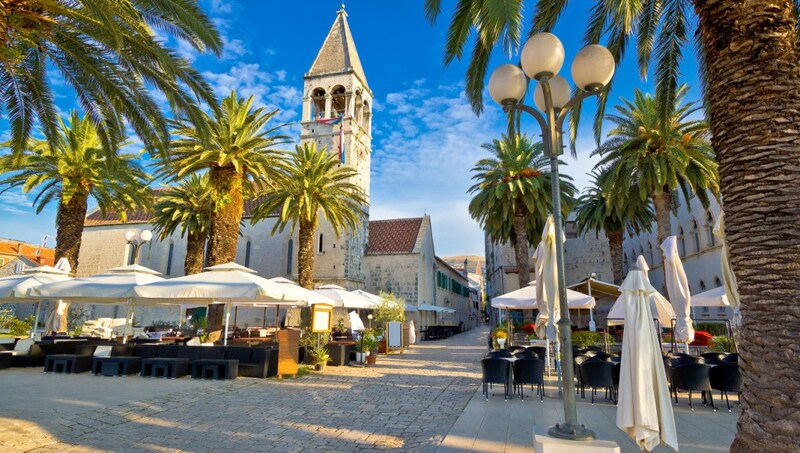 You'll find yourself surrounded with the small town bustle of Trogir as you enjoy a meal or simply people watch. 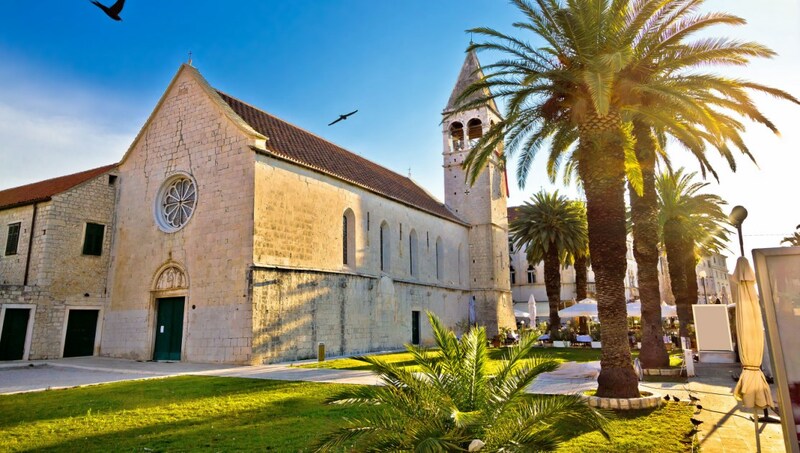 Built in a Roman Catholic style, the Cathedral of Saint Lovro is said to be one of the most imposing buildings in Trogir. Visit the cathedral and admire the triple-naved construction. During the summer months, the Karmerlengo Fortress comes to life and hosts concerts and a variety of performances. Check out the castle grounds before or after a show--the grounds are impressive. 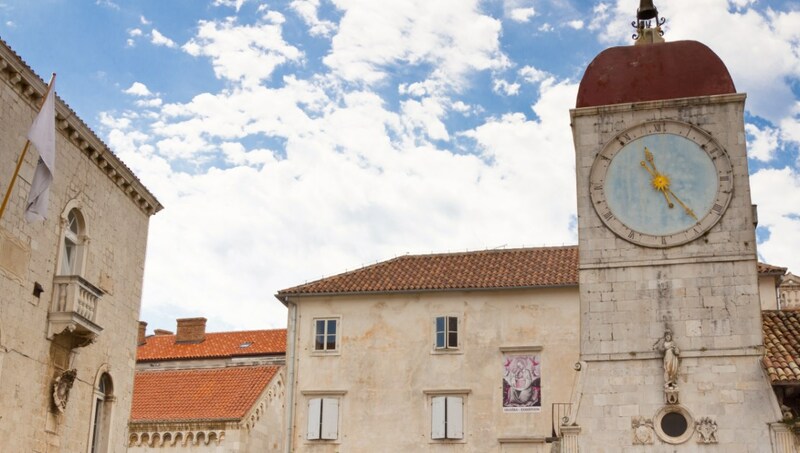 On a stroll through the historic old town, take a second to enjoy the famous clock built into the Town Hall of Trogir. This Benedictine Convent hosts a variety of ancient relics for your eyes to feast upon. The highlight is certainly a relief of Kairos, the Greek god of opportunity. To learn more on your visit, consider hiring a local tour guide. 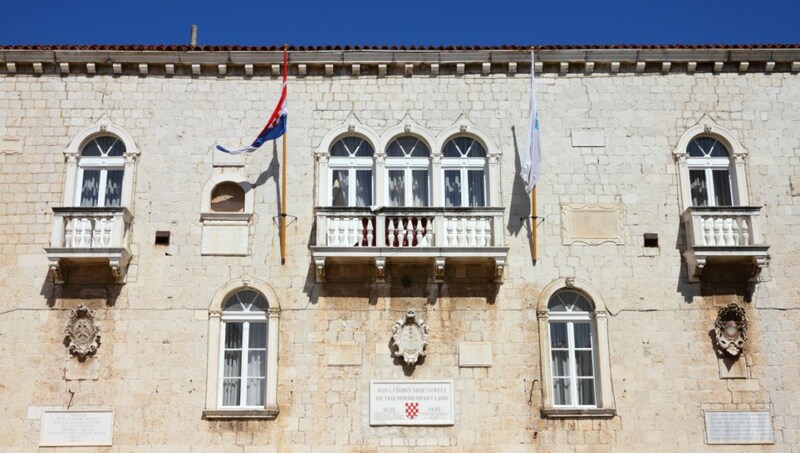 Don't miss the Grand Cipiko Palace as you meander through historic Trogir. The palace architecture lends more medieval spirit to this Croatian town. What to eat in Trogir? The gastronomy of Trogir is a delight. Start the day with a coffee or kava and a Croatian pastry. For lunch, visit the fish market, and see what you catch. End the day with a Croatian beer in the Central Square of Trogir. How to Get Around Trogir? Trogir is lovely on foot, especially if you're wandering through the historic district. There are also local buses, should you prefer to take public transport in Trogir. If you're planning a day trip, look into the trains, buses, and ferries in the area. Year-round, the temperature in Trogir doesn't dip much further than 60 degrees. In fact, the sun shines on this city nearly 3,000 hours annually. Summertime is peak tourist season, although for good reason. Visit Trogir in the summer months to enjoy the warmest weather and the most local activity. Want to discover all there is to do in Trogir? Click here for a full list.